Overview: An AV-rich facility featuring multi-purpose rooms, large format video wall display, huddle and break-out rooms, and integrated VTC capabilities. 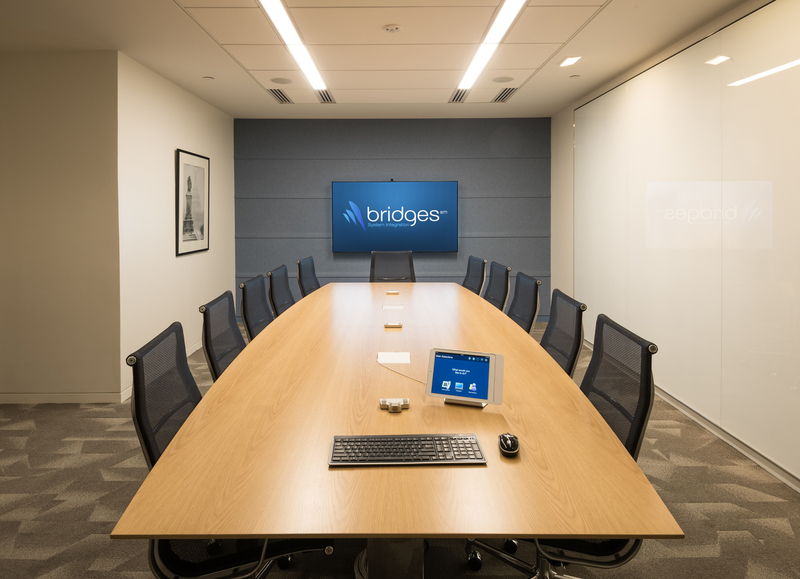 An Audiovisual Consultant selected Bridges SI to handle the design, engineering, and installation/testing of the AV systems for a newly renovated Washington DC law office. 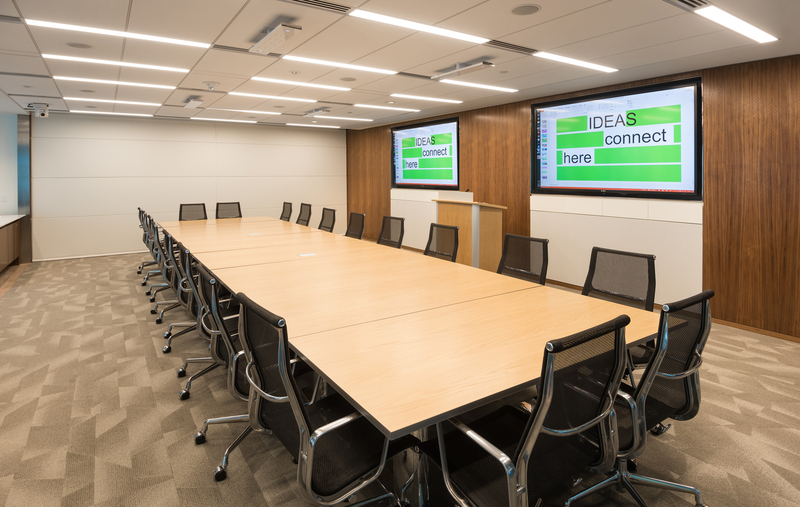 The collaboration facility includes reception, a multi-purpose divisible conference room, multiple VTC suites, and various huddle rooms. The baseline system design/specifications were turned over from the Consultant, thus guiding the final implementation plan throughout the project. 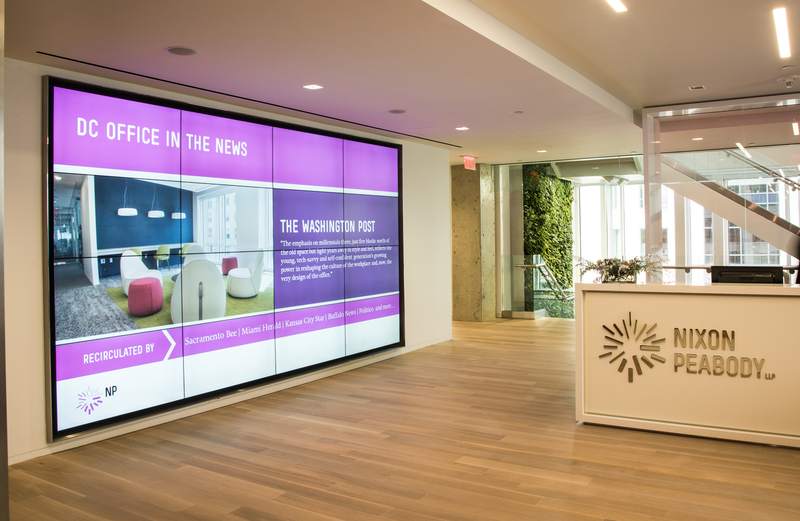 Visitors and employees are welcomed to the space by a large 4×4 video wall in the reception area. Personnel use a video processor to publish dynamic content, mixed media, and notifications with ease. 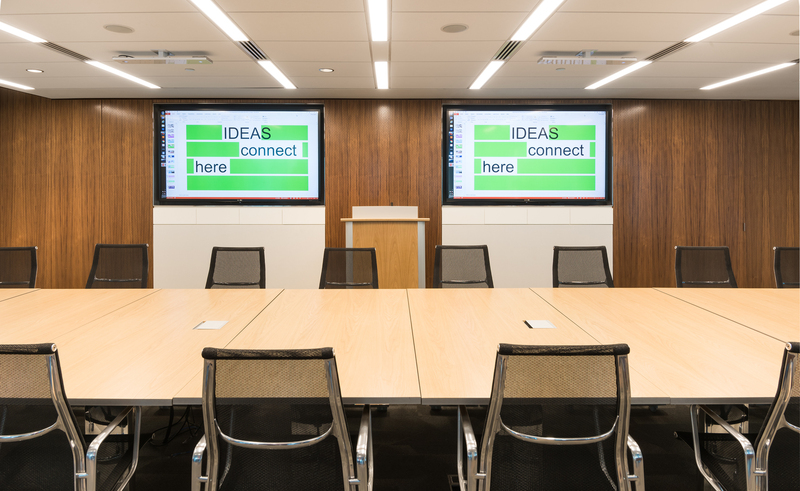 There is a multi-purpose divisible conference room that features four 90″ HD displays. The room, which is driven via a central switching, distribution, and control system, allows routing of any source to any of the displays. 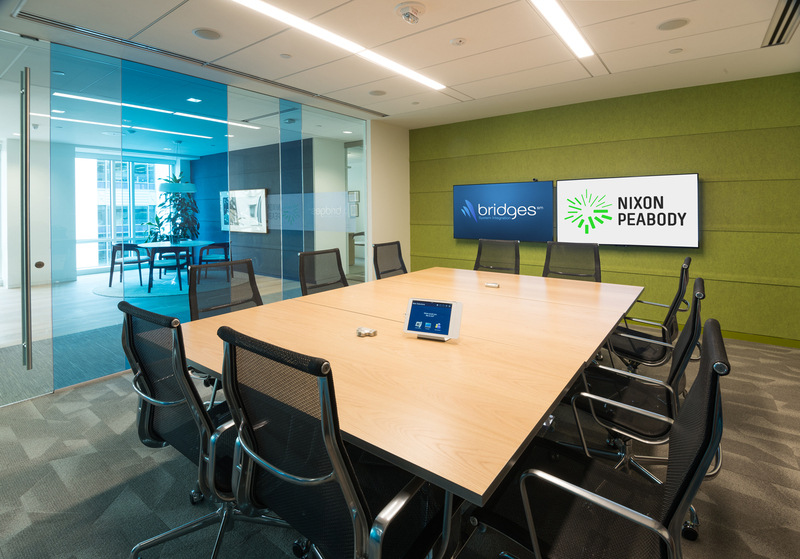 The room supports ‘open’ or ‘closed’ configurations; the former for large discussions and the latter for executive briefings and presentations. There are multiple in-room cameras and a CODEC that provide VTC capabilities. It is critical for employees and partners to be able to break into smaller groups for quick collaboration sessions. Thus, there are several break-out spaces and huddle rooms which offer a streamlined workflow and ease of use for various personnel. 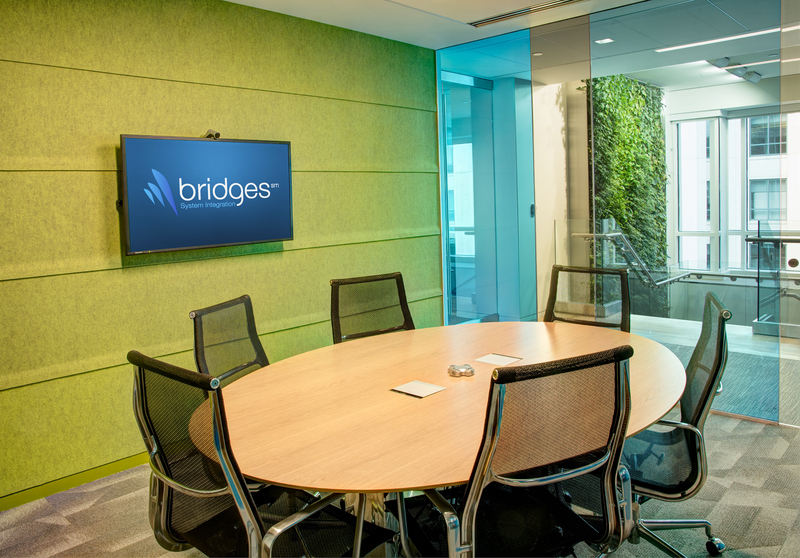 Depending on the groups’ needs, VTC functionality and wireless Bring Your Own Device (BYOD) capabilities are available in nearly all of the collaboration rooms. 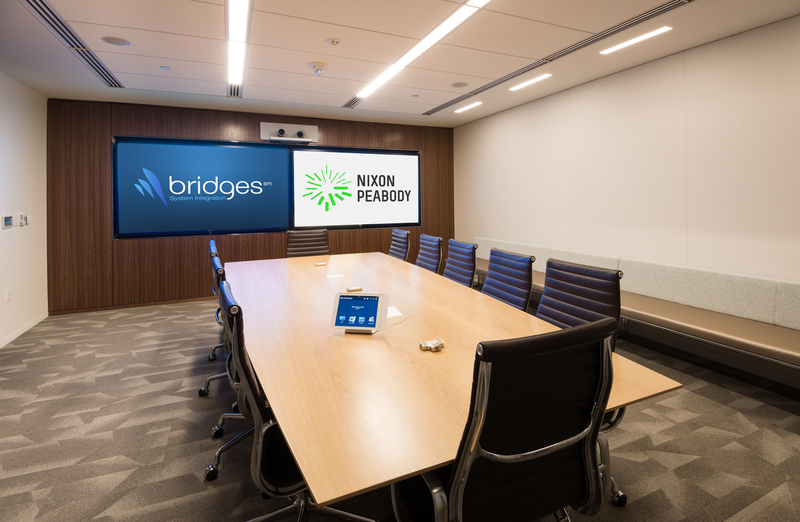 Beyond the fixed conference rooms, Bridges SI worked with Nixon Peabody’s facilities team to outfit mobile carts with presentation technologies. The mobile carts were designed to be flexible and seamless with the look and feel of the office. Mainly, the carts needed to function in order to transform any space (corner office, lounge, etc.) into an ad-hoc collaboration area.